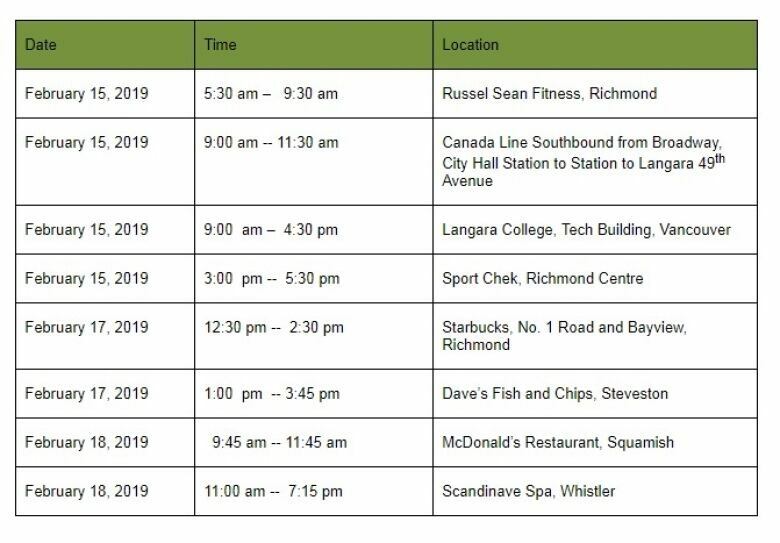 Vancouver Coastal Health says there are now 10 confirmed measles cases in the current outbreak and there have been possible exposures in Vancouver, Richmond, Squamish, Whistler, and Steveston. 'I cannot promise that every exposure is accounted for,' doctor says of 10 confirmed measles cases in B.C. Two new cases of measles have been identified in B.C. 's Lower Mainland, according to Vancouver Coastal Health. The health authority has determined that one of the new cases is linked to a previously known case of measles. The source of the second infection has not been identified and is being investigated. There are now 10 confirmed cases of measles associated with the current outbreak. 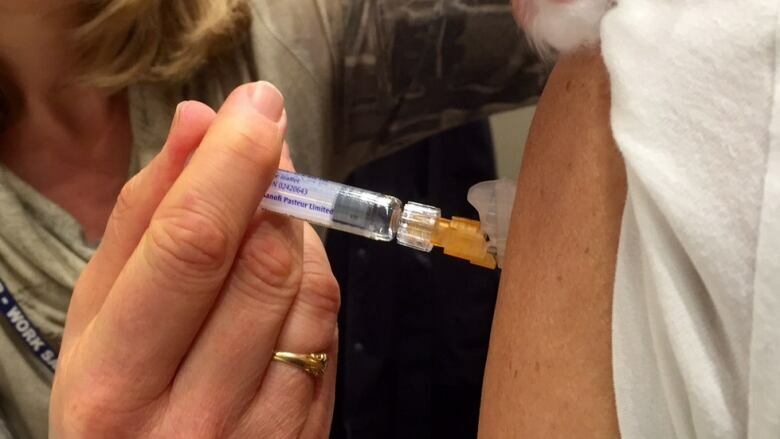 One unrelated measles case was identified in Vancouver earlier in February. "I cannot promise that every exposure is accounted for," said VCH medical health officer Dr. Althea Hayden. Measles is a highly infectious disease that spreads through the air. It can remain airborne for two hours. According to a statement from Vancouver Coastal Health, it is too late for the majority of people who may have been in contact with confirmed cases to take preventative action. There have been possible exposures in Vancouver, Richmond, B.C., Squamish, Whistler, and Steveston. In other locations, people may have been exposed and the health authority has been notifying them directly. The health authority has since confirmed that passengers headed both northbound and southbound on the Canada Line, Vancouver's rapid transit system, on Feb. 15 between 9:00 a.m. PST and 11:30 a.m. PST could also have been exposed. The health authority said those at risk should be monitored for symptoms. Thirty-six students and staff have already been asked to stay home from two Vancouver French schools where the outbreak began.